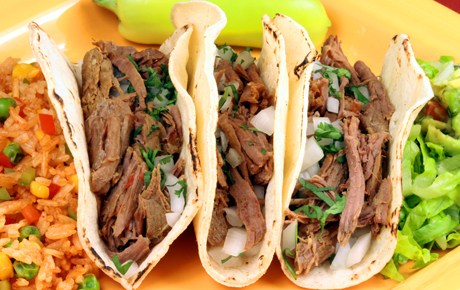 Delight in the flavors of Mexico with 54% off a taco dinner at Los Posadas Mexican Restaurant in Prospect Heights ($11 value). This delicious meal comes with your choice of steak, chicken or pork tacos, and it includes rice and beans. Top off your tacos with lettuce, tomato, avocado and sour cream, and wash everything down with a refreshing 16-ounce horchata.